Some of the finest homes can be found in the Lincoln Park real estate offerings! From gorgeous brownstone homes to townhouses with unique brick facades that are nothing short of stunning. Mature trees and lush greenery line the calm streets of the residential neighborhoods, and just a few blocks away you'll find bustling commercial corridors with eclectic shops and culinary offerings from around the world. The area is named after the renowned 1,208 acre park on the eastern edge of the community, which is home to a petting zoo, nature museum, walking trails, and so much more. 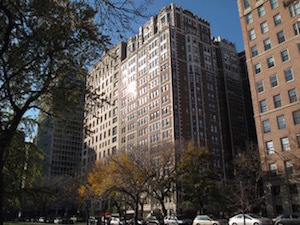 The Lincoln Park real estate market is highly regarded as one of the most coveted placed to buy a home in the city. With several custom homes that have been meticulously maintained since the late 1800s and a diverse mix of houses, condos, and townhomes, there's something for every affluent preference in this desirable community. 672 Properties Found. Page 1 of 32. Many of these well-appointed homes, their designers and architects, have been awarded with a number of awards which really reinforces their impressive qualities. No matter what style you prefer, from sophisticated estates to industrial-inspired lofts, this selection of unique, custom homes can perfectly accommodate your exclusive tastes. These homes have everything you'd anticipate in a luxury home, and so much more. Beyond the standard high-end fixtures and finishes you'll also discover rare elements like sprawling, temperature-controlled wine cellars, winding industrial staircases, thoughtfully landscaped terraces, and professionally designed spaces by some of the top names in the business. If you're looking for luxury, you've found it in these Lincoln Park homes. There are so many great reasons to call Lincoln Park home. Aside from proudly owning some of the finest real estate in Chicago, you're just a short distance away from nearly all of the best inner-city amenities. Lincoln Park itself includes a variety of outdoor recreation offerings as well as a petting zoo, nature museum, history museum, and a conservatory. During the summer months, many enjoy relaxing on the sprawling beaches by the lake or taking a stroll through the walking trails. Along the busy commercial corridors like Halsted Street you'll find a selection of boutique shops and specialty fitness studios, as well as some of the best dining that Chicago has to offer. If you'd love to learn more about homes for sale in Lincoln Park or would like to schedule a showing, contact Andreas Holder online or by phone at 312-893-3560.